The fine folks at Chandler 4 Corners have a great collection of Stars and Stripes Pillows perfect to decorate your home for the Fourth of July and every other day of the year. 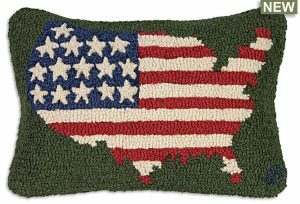 Find the Stars and Stripes Pillows from Chandler 4 Corners here. See all the great decorative products from Chandler 4 Corners here. Lost Cowboy is powered by	WordPress 5.0.4 and delivered to you in 1.949 seconds using 43 queries.